I have started a new life. I had to pass this link to you because it is so wierd! Watch THIS! One day, I was watching TV and this commercial came on. I was just watching it closely because I thought I could identify some of the Amsterdam buildings. And guess what? I actually found something else! It is in Japanese, so you may have a tough time finding "it" but here you go! 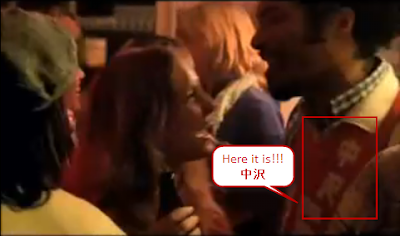 Answer: There is a guy wearing a red jersey at a bar, and on his chest, there is a Japanese writing. It says "中沢 (Nakazawa)"! It is not a common name in Japan, so I am very curious how he found the jersey! As of 1st of October, I started a new position at work, so I (again) started a new life in a new place, Philadelphia! The picture is Philadelphia City Hall. Last year around this time, when I visited Philadelphia for work, I never thought of moving here at all. Especially, I was thinking that if I had a chance to move back to the United States, I probably would have gone to San Francisco. The difference is huge! In this new blog, I will write my new life in Philadelphia. For coming posts, I most likely will write about my moving situations. Enjoy!